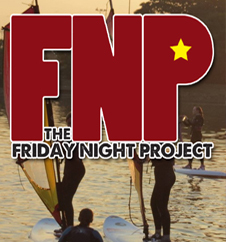 A range of recreational activities and events are organised for the Friday Night Project. Scheduled events are listed on this page. All young people aged 11 to 17 years are welcome to attend. To confirm that you are happy to receive FNP activity updates, click here to complete our form. Limited spaces available so early booking recommended. Cost: £2 per person. Minibus transport available (departing from Freedom Leisure car park at 6.30pm and arriving back at 8.15pm). Please confirm booking by 4pm Thursday (text/email). For details call 01323 843377 / 07546 388180, or email us. Friday 3rd May | Activities @ Knockhatch! Fun activities at Knockhatch Adventure Park including WaveRunner and Giant Pillows... Minibus available 5.30pm at Freedom Leisure car park. Cost: £4pp. Please confirm booking by 4pm Thursday (text/email). Friday 10th May | Ten-pin Bowling! Enjoy a game or two or ten-pin bowling at Freedom Leisure! Limited spaces available, so please book as early as possible. Cost per person: £1. Please confirm booking by 4pm Thursday (text/email). Friday 17th May | Bubble Football! Zorbing and football combined! Costs £7 per person. Limited spaces available so early booking recommended. Please confirm booking by 4pm Thursday (text/email). Friday 24th May | Activities @ Knockhatch! Friday 7th June | Inflatable Assualt Course/Drop Slide! Fun activities at the James West Community Centre. Minibus available 7pm at Freedom Leisure car park. Cost: £6pp. Please confirm booking by 4pm Thursday (text/email). Friday 21st June | Activities @ Knockhatch! Friday 21st June | Activities Evening @ PGL! Fun activities at the PGL Centre in Windmill Hill... Details of activities available will be announced soon. Minibus available from Freedom Leisure car park (time TBA). Cost: £7pp. Please confirm booking by 4pm Friday 14th June (text/email).